We’re proud to announce the new Firestone Wide Oval Radial tire, a product that will bridge the gap between authentic bias ply tires and modern radials. 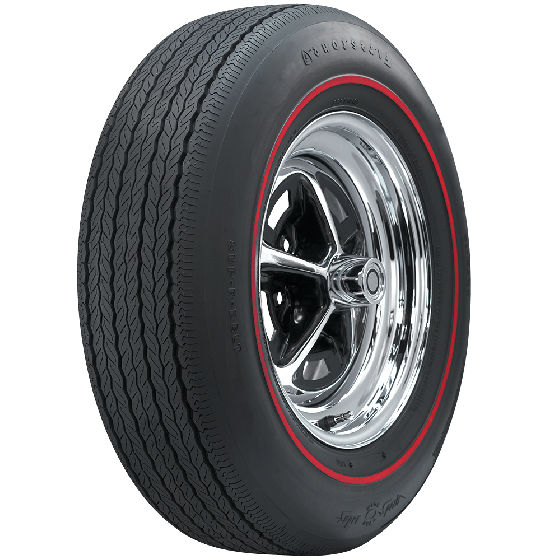 Designed and manufactured in the USA, using new molds and materials, this tire features authentic sidewall markings and tread pattern, with radial construction. This is the ultimate muscle car tire! 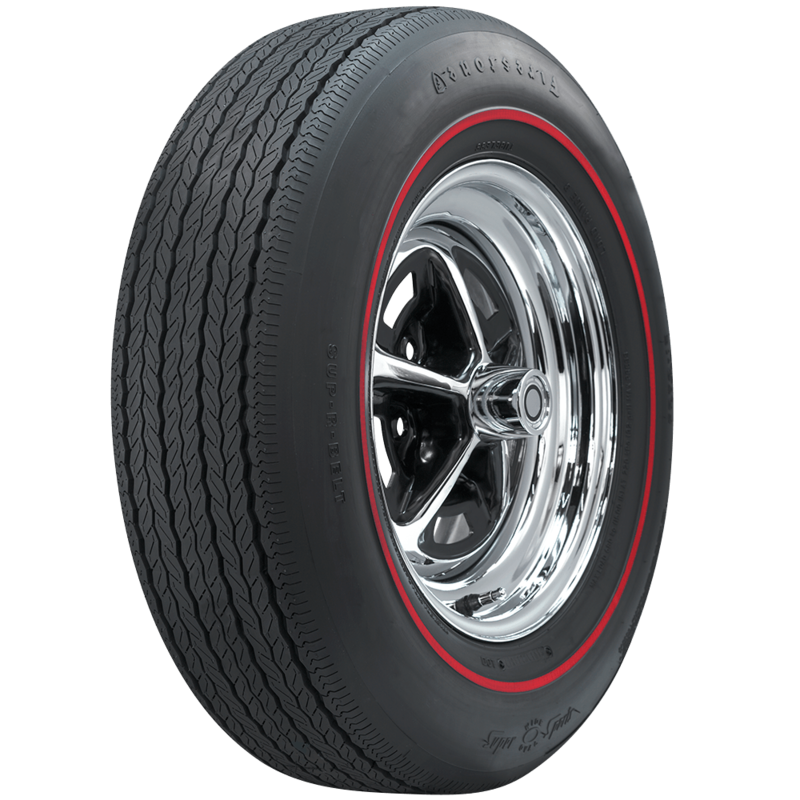 Firestone Wide Oval Radial redline tires offer fitments of most muscle car applications. 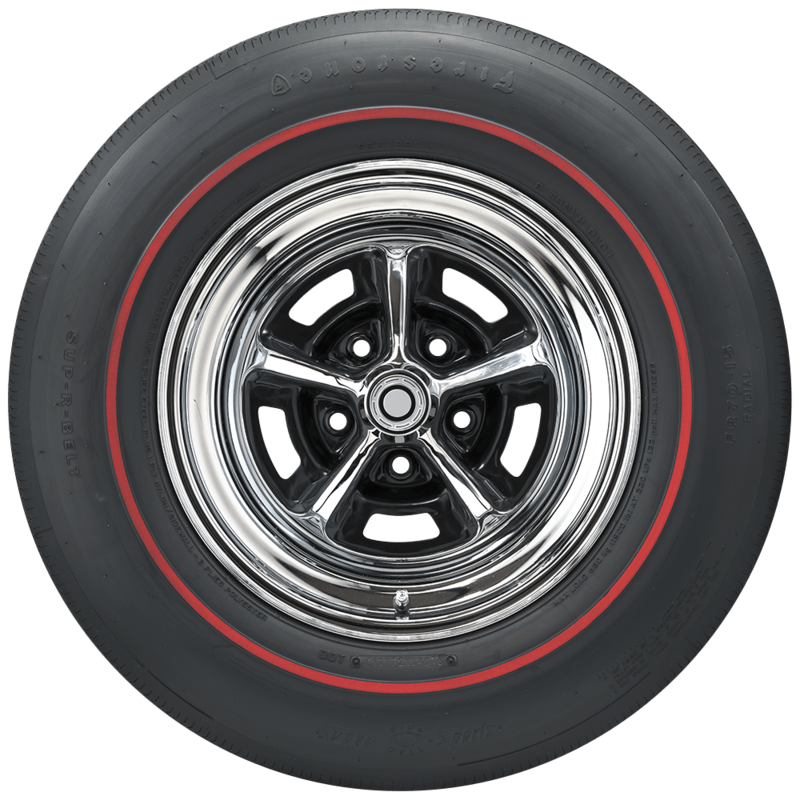 The tires feature a 3/8-inch redline with all of the correct markings on the sidewall. These tires are DOT approved, and S speed rated—that means they are ready for the open road! It’s time to put a set of Firestone Wide Oval radials on your muscle car. How do these compare to p225/65/R15 sized tires? The FR70-15 tire is equivalent to a 205/75R15 or 215/70R15. It may have nearly same diameter as 225/65R15, but will have a narrower section width and tread patch. See "Specifications" for these dimensions. Will these fit 71 vettes with out clearence issues? Yes, this is the proper size for a 1971 Corvette.